Mary: I don’t suppose you can tell me: What was so important that you couldn’t be there for your dad? Archie: Believe me, I had every intention of going. Mary: You used to worship your father. You used to play music. You, Jughead, Betty...you were inseparable. But I’m looking at you now, and I don’t know who you’ve become. Mary: Who are you, Archie? 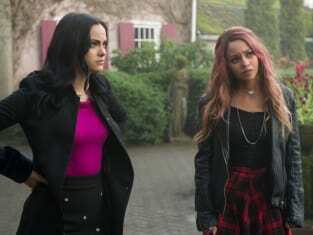 Riverdale Season 2 Episode 17: "Chapter Thirty: The Noose Tightens"
Permalink: Who are you, Archie?